We’ve got a few options. Most people know about DORMANT OIL which works well on scale. 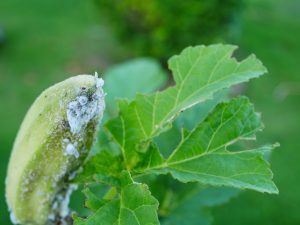 But it’s really best for use in the winter and by early spring, developing foliage can suffer damage if used so be careful. Mixture rates are 1.5 to 3.0 oz per gallon. Single treatments will kill all activity; retreat as needed. So being that most of the country is in “spring”, I’d recommend you don’t use dormant oil but instead, a more “traditional” pesticide or something “organic”. 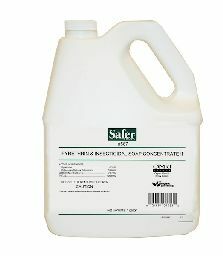 The organic spray option is MULTIPURPOSE INSECT KILLER which uses a combination of a few very safe actives. This combo is highly effective on insect scale and because its organic, you can use it daily if needed. You can even use it on plants yielding edible fruits or vegetables. Add 6.4 oz per gallon of water and like the oil, spray as needed. The “best” option in our opinion is the ADONIS. 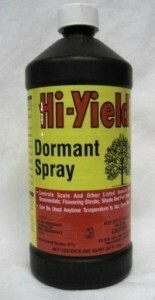 It can be sprayed on the jade directly to kill active scale in 2-3 days but you can also use it as a systemic. This is where Adonis shines. Add 1 oz to 5 gallon pail of water filled with 3-4 gallons of water. 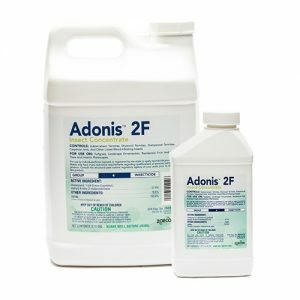 This solution can then be poured as a soil drench around the trees or shrubs you want to protect using 1 oz of the Adonis for every 10″ of tree trunk. So if the tree is 5″ wide, use .5 oz in 3-4 gallons. If the tree is 10 inches wide, use 1 oz in 3-4 gallons. As a spray to directly treat active scale, add .5 oz of Adonis per gallon of water.